Originally connected to Kathryn Bigelow’s still-untitled Osama Bin Laden film back in May of last year, Joel Edgerton is now officially attached to star, Variety reports. The project, which reunites Bigelow with The Hurt Locker screenwriter Mark Boal, deals with a black ops SEAL team and was recently updated to include the successful operation that took down Osama bin Laden. 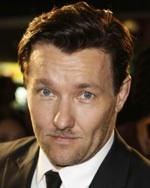 Edgerton joins Jason Clarke as the only official cast member, but a recent report indicated that Idris Elba, Rooney Mara, Jennifer Ehle, Guy Pearce and Nina Arianda where among those being considered as well as Edgerton’s Warrior costar Tom Hardy. Full casting should be announced shortly as the film is still targeting a December 19, 2012 release. UPDATE: Deadline is now reporting that Jessica Chastain, Edgar Ramirez and Mark Strong are negotiating to join the ensemble cast, likely replacing some of those thought to previously be in contention.